These past couple of weeks have seen a very sad time for the club since the passing of one of their longest and most treasured servants and current President, Tom Farrell, on the 24th January 2019 who died peacefully at home with Margaret his wife at his side and surrounded by family and close friends. 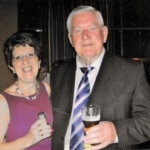 Tom and Margaret (Club Treasurer) have both had a long association with the club and have dedicated an immeasurable amount of time to it from the early 1960’s. It is a difficult task to try and write a tribute to Tom but it is done with a sense of responsibility, affection and admiration for a man who served the club in so many capacities. Tom resided in Kingsbury, London NW9 and was formerly of Bethlehem, Glasson, Athlone, Co West Meath. He was the eldest boy in the family and is survived by brothers Matthew (Sonny), Oliver and Kieran, sisters Anne, Bridget, Marie; nieces, nephews, grand nieces and nephews and godchildren and a wide circle of family and friends. Tom Farrell was predeceased by his parents, Matthew and Kathleen Farrell, brother Liam and sister Kitty. He arrived in England in October 1957 and first lived in Maida Vale. He worked for the British Railway and National Carriers in the early days. A busy man but still made time to become involved with Parnells and joined a special group of men who had founded the club in 1951, Tom Curran, Dennis and Tim Brosnan. Margaret showed me a great black and white photograph of a group of men taken at one of Parnells early meetings. I hope to scan and post on the website soon; these were the men who built the solid foundations of the club and ensured their passion for GAA could continue in London. Tom found time to socialise and met Margaret at Charlie Macs Catholic Club, Victoria in 1964. She must have caught sight of his twinkly beautiful blue eyes! Romance blossomed and they married in Donegal in 1968. They settled in All Souls Ave, Harlesden. Tom temporarily retired in his mid-fifties but later returned to part time work on the Chalfont Line Bus or as it was better known as ‘Parnells players’ mini bus’! During his time with the club, Tom undertook many positions from being a mentor and on the selection committee in the early days and then progressed to the ‘top table’-Chairperson, Assistant Treasurer to name but two positions. Tom was always one to get involved actively whether it was on the side line or behind the scenes; looking after the jersey’s (or was that Margaret? ), transport manager, advisor, storeman and changing room key holder and probably many other roles! This commitment was reflected in him being named ‘Club Person of The Year’ on more than one occasion. Even in the last couple of years with declining health, Tom was at training, at the games or sharing a sociable drink with everyone. The last time the Club tried to honour him he refused to accept it. Sometimes it is sad that it is only when someone is no longer with us that we learn about their character, their life and how important they were to others. I hope Tom knew that he was at the heart of the club and it is great that Margaret is able to talk to people and share special memories with them about Tom. One person who recently recorded some of Tom’s memories was Kathleen Curran. Kathleen is one of the daughters of a founder member Tom Curran. 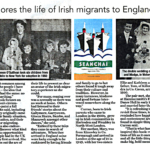 Her book ‘Seanchai’ delves into the lives of Irish migrants who moved to the UK in the 1950’s. The article below provides an insight in to the book and the author herself. Kathleen kindly sent me part of the book relating to Tom and has allowed me to include it as part of this tribute. I am from Westmeath from a family of nine: four brothers (Liam, Sonny, Oliver and Kieran) and four sisters (Kitty, Annie-Jo, Bridgie and Marie). We lived on a farm. My eldest sister, Kitty, went to Nottingham to be a nurse. A neighbour’s brother worked in a hospital and he spoke for her – and it was all arranged for when she got there. She worked there all her life, going on to become a matron. My second sister worked in a grocery shop in Longford and she married a guard. My brother Liam came to England and stayed with me initially. He worked for the railways at Paddington Station and later worked for London Transport driving the 28 bus. Oliver also worked as a bus driver when he came a few years later. Bridgie also came to London and worked in the Army & Navy in Victoria for a long time on the beauty counter. She met her husband there and they moved to Trowbridge in Wiltshire. I was doing all right in Ireland. I had a job delivering milk in Athlone but when my mate Mike Murphy, who was five years older than me, came home from England on holiday, I decided to make the trip back with him. I stayed for a couple of days with Freddie Fagin, who knew me from home. I got a job in the goods department of Paddington Station to start on the Monday so I needed to get somewhere to live. I was recommended to a house, 28 St Ervans Road in the Westbourne Park area. When I got there I pressed the bell marked ‘landlord.’ A tall man with a smiley face opened the door. He told me he was from Cavan. He introduced himself as Terry Connolly and he was to become a life-long great friend. The room had a cooker in it and the rent was ten shillings a week. He asked if I was interested in Gaelic football. I answered “yes,” and told him that my favourite players were Tony Tighe and Mick Higgins. He informed me that there were matches played at New Eltham. “Where’s that?” I asked. He said we could get there by train. We arranged to meet at Westbourne Park station at twelve on Sunday and got the underground to Charing Cross where we got our connection to New Eltham. Once we arrived at the ground I could not believe my eyes; there was about three to four thousand there. It was great, and we went to the pub by New Eltham Station afterwards. This became a Sunday ritual for many years until the ground moved to Ruislip. My team was the Parnells and still is, which was also Terry’s team. I went out with Terry five nights a week. I went out to the pub for warmth as much as anything else! You had to buy sticks and coal to light a fire in your room, which could be freezing with the high ceilings. There were no televisions in our rooms, but we all went down to Terry’s to watch it if Harry Worth, Arthur Haynes or Norman Wisdom was on. I did not drink initially but then Terry said that I “should stop drinking that old orange juice,” so I did. From then onwards I enjoyed a ‘social’ drink. My favourite dance hall was the Glocca Morra in Queensway. The first time I went there I could not believe it; there were women about ten deep from the wall and my eyes nearly shot out of my head. We were able to walk home from there and we went there for two years until it closed. We then changed our venue to the Hibernian in Fulham every Saturday. I met my wife, Margaret – who was from Kilmacrennan in Donegal – in Charlie Macs in Victoria in 1964. It was a Catholic club of mixed nationalities. She worked as a telephonist at the Cumberland Hotel, and was renting a room in Manchester Street, Marylebone. We married on 1st October 1968 and lived in Kilburn, then Ariel Road in West Hampstead before moving to All Souls Avenue in Harlesden in 1970. We now live in Salmon Street, Kingsbury. The Parnells football club continues to be major part of my life and Margaret’s also. I am President of the senior section – and Margaret is the treasurer! It’s really gratifying for me that the Parnells has been such an important part of Tom and Margaret’s life, not just in terms of their passion for the team but also the social side that goes with it. It reminds me of the principles upon which my dad, Tom Curran, and his two friends Tim and Denis Brosnan founded the team in 1951. London GAA football ground in South East London. There were three pitches, basic changing rooms and toilets. There was also a canteen, which served teas, soup, fruitcake and confectionery. 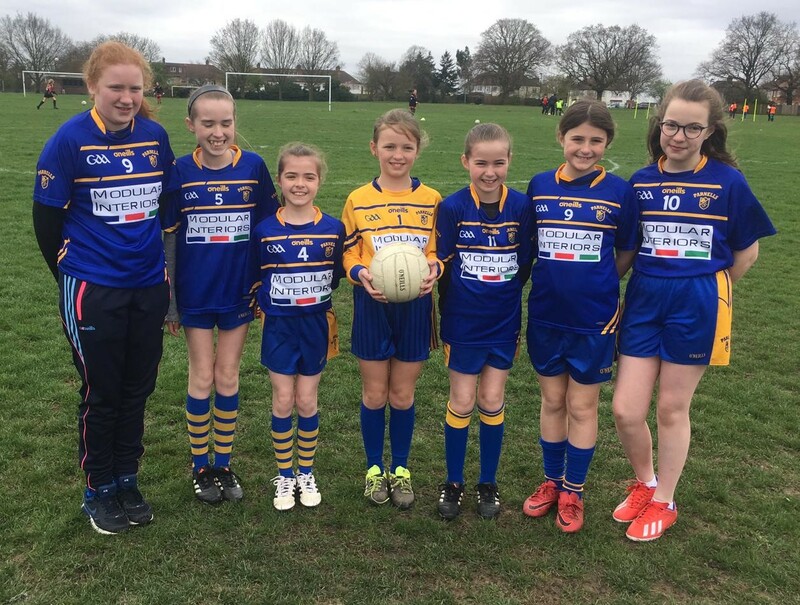 Parnells GAA London is a Gaelic football team formed in 1951 by Tim Brosnan, Tom Curran and Denis Brosnan. It was mainly based around North West London. Comedy actor and comedian (1917-1989). Actor, comedian and singer-songwriter (1915 – 2010). What a great insight in to the early life of Tom and lovely to be able to read the account he gave with his meeting with Kathleen. You can find an article about Kathleen in the download section. In conclusion, the club extends their sympathies and condolences to Margaret (Senior Club Treasurer) and his family at this difficult time. 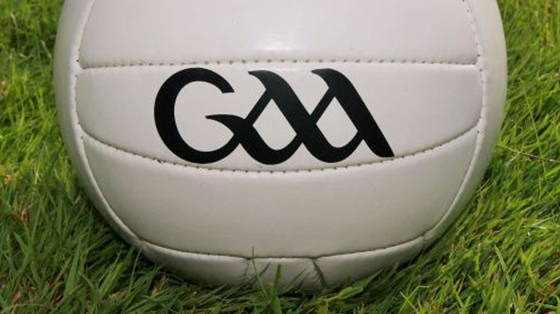 The loss of such a great clubman and Gael in London will have a profound impact on the club and the GAA community in general and he will be greatly missed by all. If anyone who reads this tribute and would like to let us know about their own memories of Tom, I will gladly include it and update this in the future. Or indeed if anyone has their ‘own story’ to tell about a relative or friend that was connected to the club, please email and I would be happy to discuss further. It is important to capture the memories for the history of the club while we still can.